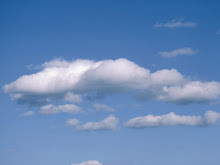 Over the past several months I have become extremely interested in cloud computing. I am marveled at the potential of the programmable web and elastic computing resources. I believe these technologies will enable a fundamental transformation of corporate IT applications and infrastructure. This blog will contain informal thoughts and observations about Cloud Computing, Mahups and Analytics. From time to time I will post links to news articles and resources that I find interesting. The views and opinions expressed in this pages are strictly mine.